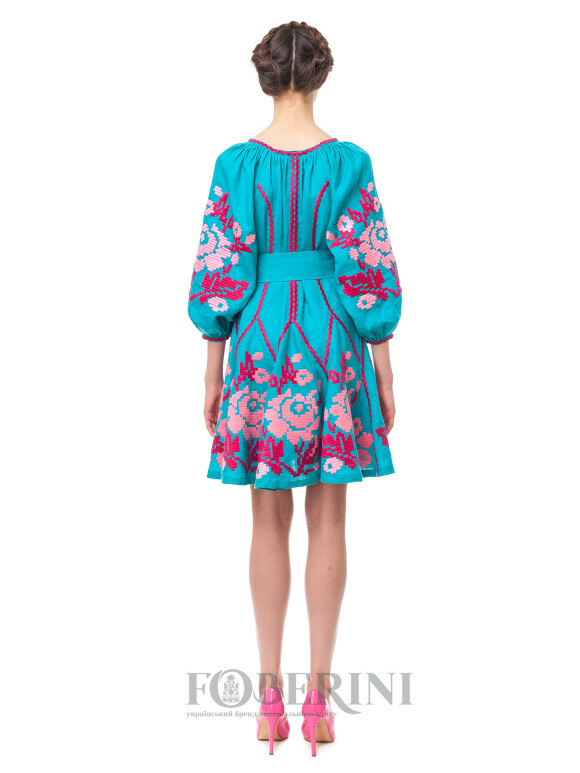 Designer dress-embroidery “Sialia”. The neck is decorated with ties with tassels. Made from high quality 100% linen. Embroidery is made with pink and raspberry threads. The belt with brushes is in the complete set to a dress. 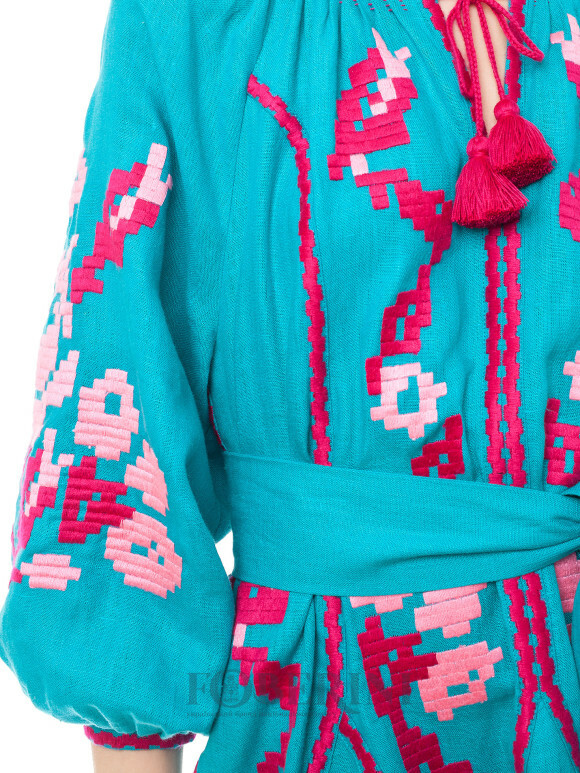 Symbols of embroidery: In the pattern were used the elements of embroidery of Novobasan towel of Chernihiv region. The main symbol of embroidery is a rose – a symbol of purity, love, beauty and mercy. Pink is a symbol of love, youth and romance. 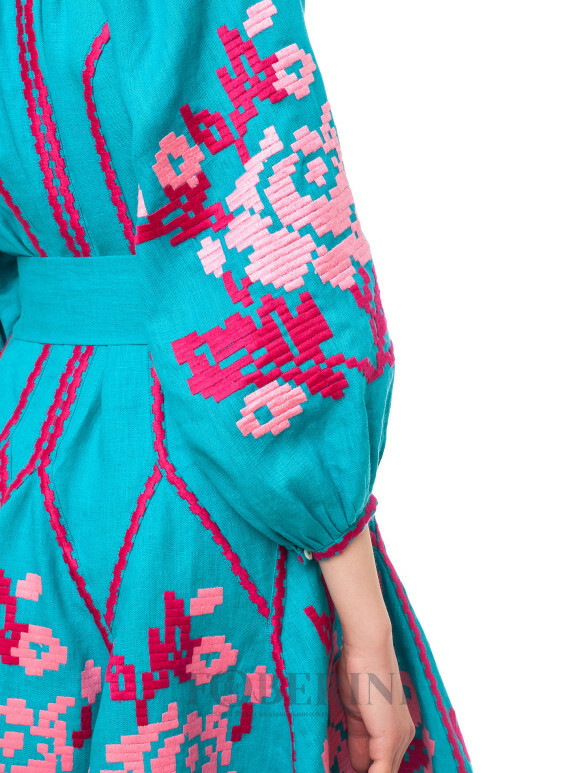 Details: Dress with authentic embroidery. Belt with tassels.